Do you need custom design to supplement your manufacturing? Provide the thrust required to snub the tubing into the well against surface pressure and/or to overcome wellbore friction forces. 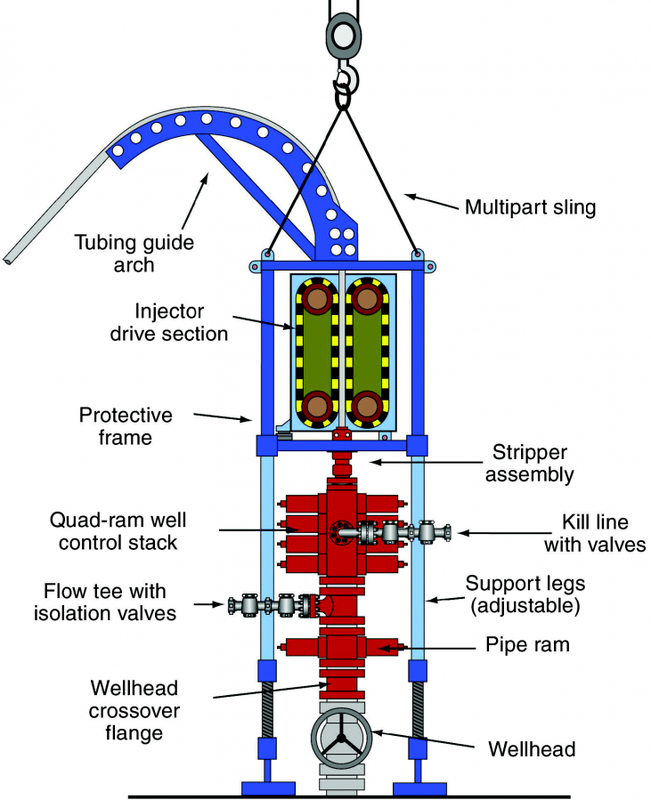 Control the rate of lowering the tubing into the well under various well conditions. Support the full weight of the tubing and accelerate it to operating speed when extracting it from the well. 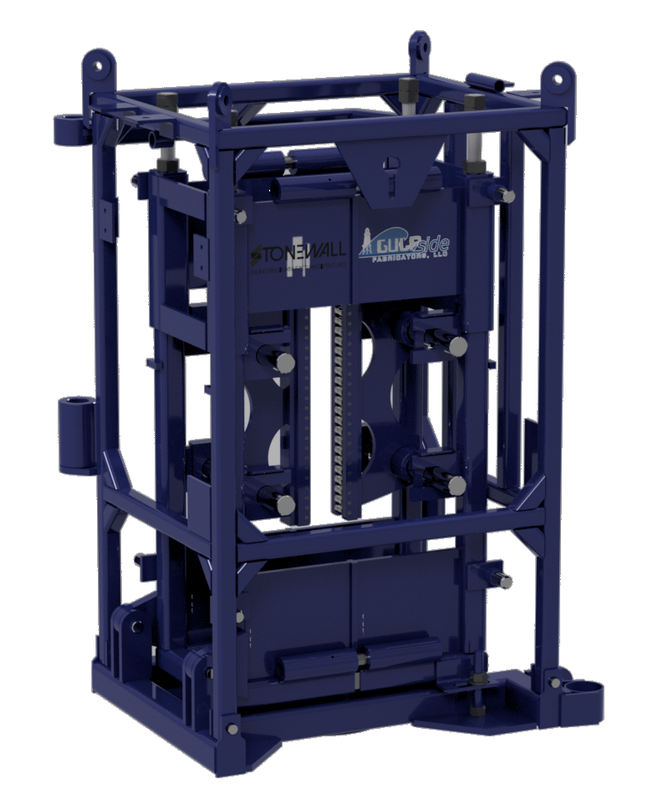 The fundamental operating concept of the counter-rotating, opposed-chain injector is one that utilizes drive chains fabricated with interlocking gripper blocks mounted between the chain links. These types of gripper blocks are designed to minimize damage to the CT and may be machined to fit the circumference of the CT string or formed in a “V” shape to accommodate variable outer diameter (OD) sizes of CT. 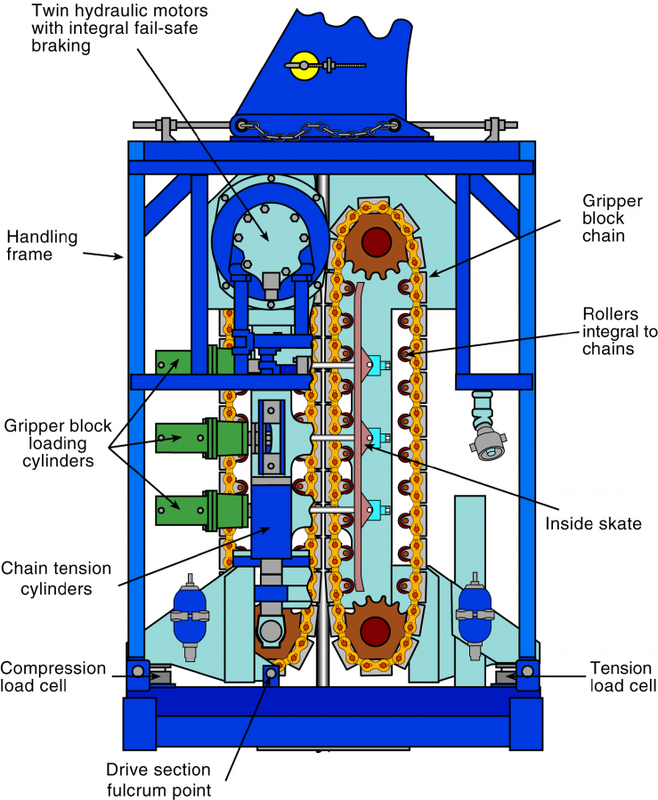 The chaindrive assembly operates on the principle of frictional restraint, in that the CT is loaded by the opposing gripper blocks with sufficient magnitude of applied normal force that the resulting tangential friction forces are greater than the axial tubing loads (tension or compression).